Er. Ishan Sakumi works as a Design Engineer for Scott Wilson Nepal. 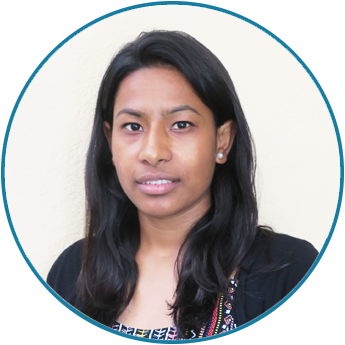 She holds a Bachelor’s degree in Civil Engineering from Tribhuvan University. She has a working experience on feasibility study, designing, drafting and detailing headwork structures, preparing structural drawing, quantity estimation of various hydropower projects. Her expertise includes supervision and mobilization of remote monitoring technicians for the program providing technical and operational support to the monitoring team. She implements approaches of supporting, technical backstopping, monitoring and mainstreaming the workforce.